The P.T Dockyard invades the Modern Era! 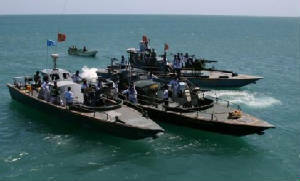 Since the end of World War 2, nations have been expanding on and developing the concept of the small fast warship. The torpedo has given way to the anti-ship guided missile, the deckload of machine guns replaced by automated weapons that lock on and fire until the target sinks. Smaller nations shop the global market for these craft, resulting in the same types potentially engaging each other. Over the past 60 years, Fast Attack craft have engaged in the waters off Syria, Vietnam, Korea, Cyprus, the North African shoreline, the Persian Gulf and many other parts of the world. 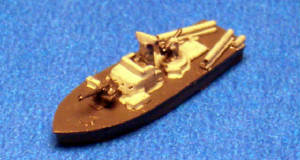 The PT Dockyard will bring you craft that span this period, offering once again unique models not available anywhere else, filling a niche for both the collector and wargamer alike.